A 2012 Harvard Business School study, “E-Mail: Not Dead, Evolving,” found “communication between individuals—the original intent of e-mail—isn’t even listed in the top five activities” of how we use email today. 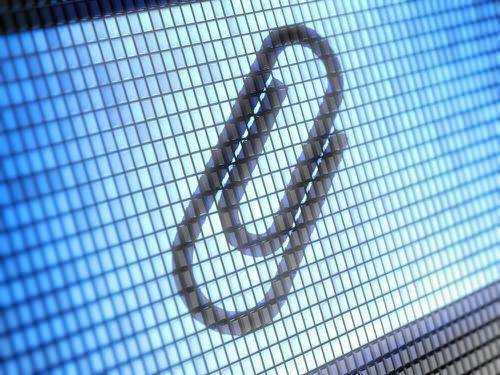 I have worked in the world of technology since 1982 and even worked as the vice president of an email services company. I tend to lean pretty heavily on email in my work world, but I have noticed how its use is changing in my personal life. My most technologically literate friend, Stephen, and I often communicate by Twitter. Some friends who used to send me emails now mostly communicate with me by comments on my Facebook feed. Some even presume that I might stoop to reading Facebook email which I listed as one of the ten things that the tech industry should fix. I have found that my thirty-something friends and family prefer to text me on my smart-phone. I am okay with that since I found the MightyText app that lets me send and receive text messages from my Google Chrome browser and on my tablet. My personal reality seemed to be shaping up to a handful of people outside of work who still communicate with me by email. Even some of them are only responding to emails that I send. The golden age of personal email seemed to be receding into the mists of time. It is different in the business world, where stats show that 48% of consumers prefer email as the communication with their brands. That explains why I have spent the last week trying to decide between Constant Contact and MailChimp as email marketing platforms. Can Email Be The Great Equalizer? About six months ago, two things happened to change the dynamic that emails are dying as a form of communication in my personal life. First I got elected to the board of directors of our homeowners association (HOA). Second, our minister decided that communication between the committees led by the elders of the church would go go electronic. One of the reasons I got elected to the HOA board was the hope that I would create an online calendar and perhaps establish email communication between the board and homeowners. I did end up doing all of that but it turned out to be the easy part of the volunteer job. At the church, I was already in charge of our website, and the communications committee. Together, these two events gave me a completely new perspective and perhaps a hope that email for communication between people outside of business still has some life even if it will not be as glamorous as the earlier days of email. Most of us in the technology world work in environments where we share files on a regular basis. At WideOpen Networks, my day job, we use Skype, Dropbox, and Highrise to share a lot of Pages files.  When I am writing an article for ReadWrite, I often write the article in Google Docs and I can usually just attach the file directly through Trello, the content management solution which we use or upload a rich text format (RTF) document to a Trello card. In both work cases, I am dealing with folks who understand files and things like Dropbox, Box, Google Drive, and Skydrive. If there is a problem, it usually can easily be solved by sending someone a RTF document. Life is not nearly simple when you start trying to share files with people of varying ages and technology skills. When I started sending my files to other church elders, I thought the easiest and most foolproof thing would be to share a document and send the sharing notice with the content of the report pasted into the email. To be blunt, that was a disaster. Some complained that they could not even open my email. It left me wondering how that could be. The mystery started to clear when it occurred to me that a lot of people have become occasional email users and they are accessing their email on everything from a browser to get to ISP-provided email to iPads and smartphones with a variety of email clients—some of which an email snob like me considers pretty shaky. One of my preferred technologies is IMAP email and preferably IMAP on a server in the cloud that I manage or one that is managed by people who actually know what they are doing and are focused on getting my email from me to the people I want to contact. While I use Gmail (IMAP version of course) for personal email, it is not my choice for business email. I am not a big fan of webmail portals, which I considered are at best a necessary evil when a hotel’s Internet service blocks a port and makes it impossible to use client-based email. When I started looking at the email providers used by some of the people with whom I was trying to communicate, I knew that attachments were likely going to be problems. Recently, I found out just how much of a problem attachments can be even in a very small group. At our most recent HOA board meeting, I ended up being the secretary when Anne, our very competent secretary, had to take one of her children to the doctor. I managed to scribble down some notes and took Anne’s advice and typed them up that same evening while things were still fresh in my mind. I actually tried typing them up in Pages 5, since I was writing my Why Less Might Be More In Pages 5 article. I had some trouble getting the bullet numbering right so I moved it to Google Docs and actually sent her a Word docx file. There were a few details that needed to be added a little later before the minutes were finalized. A few days later she sent out the completed minutes. I had no trouble viewing the file she sent but I did notice that somehow the file extension had been stripped. I added a .RTF to it and opened it file in Word, but strangely it would not open in Nisus Writer Express or Page 5. I chalked that up to stuff that just happens in the computer world. We were already having more than a little trouble getting everyone’s approval on the emailed minutes attachment before printing and being mailed out. When we did not hear from the other two board members regarding the attachment, I sent an email to Anne and said that since she was out of town I would print the minutes and take them to the other board members. I did that at noon the next day. At the first board member’s house, I was told they had two computers and one computer seemed to be eating all the emails before the other one could read them. Following my rule of never getting involved in solving a technology problem unless the person is a blood relative, I did not bring up the subject that their email was likely POP and the first computer was likely removing the email from the server. I handed them the printed copy and just made sure the board member was happy with it. At the second and last house, the wife of the HOA’s president took the printed copy and said she would deliver them to her husband when they met for lunch later that afternoon. I did not think anything more of our problems until the president of the HOA showed up at my door that same Saturday afternoon. While he had gotten the printed copy of the file that I delivered, he wanted to know why he could not open the attachment sent by our secretary. He had tried unsuccessfully on his Android tablet and Android smartphone. It took me a minute to remember the missing file extension on the attachment and a lot longer to find a free app, OfficeSuite, to install on his smartphone. Just to be perverse, before I forward him the file again, I added a .docx extension to the original file the secretary had sent. I tested the file on Mobile Office 365 on my smartphone before opening it without any problem on his smartphone using OfficeSuite. He left happy that he could read the minutes. I did not spoil the good feeling by telling him a program could easily strip the extension again the next time the minutes are sent. All of this is far more complex than it needs to be. Holding classes on how to collaborate with others using electronic devices is beyond what I want to tackle in an area that I love but which gets most of its time sensitive communications from hand-lettered bed sheets on posts at the intersection of the main highways instead of through Twitter. It turn out that email is the solution. You just have to keep it very simple. If you have to share something with people with whom you do not work, do not do attachments. Just copy the text of your report and paste it as plain text into an email. Do not even dream of trying to get a diverse group of people using Google Drive or Dropbox, just be smart and revert to the simplest email that you can use. Follow my recommendations and use plain text email and cross your fingers. At our church, which is a larger group, I just quit doing reports. It makes life a lot easier.